Why is it that large institutions dehumanise us? I was at an event on Monday, where I got some insights on the role of government and large institutions in defeating poverty. I left with a strong sense that achieving this task is inhibited by the way large government and business institutions don’t work for people. This article sets out preliminary thoughts. Answering the question will take longer than is possible here. This was a Tory conference fringe event organised by Tim Montgomerie of The Good Right. The event hashtag was #defeatingpoverty. This featured four government ministers discussing their ideas on how to reduce poverty, increase social mobility and expand opportunity. This may seem ironic to some, since Michael Gove, Sajid Javid, Ian Duncan Smith and Ruth Davidson are frequently attacked by the left for doing things that achieve the opposite of these aims. But I discerned a theme underlying all their ideas. It is clear they do believe in #defeatingpoverty. 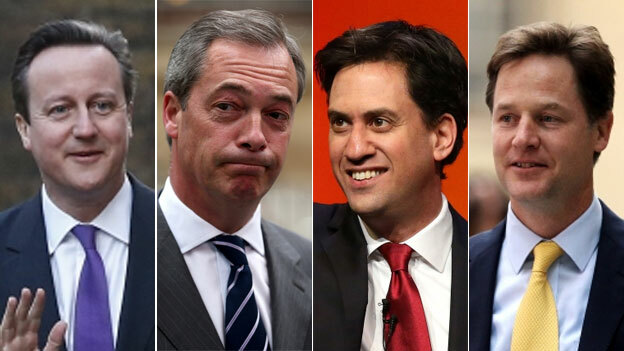 But these four ministers have a distinctive take on how to do it. They each believe that it is not the government’s job to provide us with everything we need and give us the money to get out of poverty, but their job is to provide us with the tools we need to help ourselves. The most valuable things the government can do is to provide education, an economy with jobs, healthcare, housing, public transport, infrastructure and essential utilities. Now, that could easily have been said by many Labour politicians as well. It is interesting that if you listen closely to both left and right-wing politicians and dig into their remarks, the surprising thing is they both seem to want similar outcomes. What they disagree about is, what is the best and fairest way to get there. But the media prefer disagreements to agreement. Agreement does not make good politics and does not make good media. So what happens in the media debates and interviews is that this common aim is obscured and missed and the discussion concentrates on the means to get there. These debates tend to focus on how each side has different means to get to the aim rather than revealing the common ground and purpose. Labour argue that the conservatives do not understand what it is like to be poor and disadvantaged. The Conservatives just look after their rich friends and the tax and business policies are evidence of how the conservatives are nasty, self-interested and unfair. Austerity targets the poorest and the rich thrive. Conservatives argue that Labour ideas are too expensive, we cannot afford them, that they remove the incentive to work, they do not celebrate excellence and suppress individual initiative and enterprise. Labour policies are prone to create higher tax and spend, reduce our competitiveness and depress growth which creates more poverty. Now I know that the arguments from each side are more nuanced and go into greater depth than I have done here. But if you dig deeper into the speeches from each side you will find that there is a commonality of aim but a disagreement about means. Because they favour different means, when describing aims, they each use different language. The Conservatives talk about opportunity, family, jobs, growth, choice, excellence. Whilst Labour discuss fairness, social justice, jobs, public ownership and control, growth. Each side emphasises these because they each believe they are the most important means to reduce poverty, increase social mobility and expand opportunity for all not just a privileged few. But if the both Labour and Conservatives agree about the aim, who has the right answer on the means to achieve the aim? The Conservatives or the left-wing alternatives? The left argue that the market punishes the weak and the only way to fix this is through collective action by government and government taxation. This is the best way to help the weakest and to lift them out of poverty. The right argues that the dead hand of government suppresses initiative, creativity and enterprise and business is better suited to many tasks. But in my view both of these arguments misunderstand the nature of large-scale institutions and the way they do and don’t work. After Thatcher, it was generally accepted that government-run organisations and businesses are not efficient or effective at many tasks and they should leave many things to the private sector. Business does it better goes the argument. But in the 21st century we have increasingly seen that it is not just government run organisations that can fail but many badly run, inhuman organisations of all types from business, government and not for profit sectors. In fact in many areas, the government do things better. (There are great hospitals, schools and transport services that show this). 1. When people go to work in large institutions of business, government or charity they can lose their humanity and their talent to be people. Something strange happens to people when they cross the portal of their workplace each day. They lose some of the skills they naturally have at home and with their friends. I frequently observe that people in their personal lives understand how to flourish and understand how to interact with people, so they connect with others, are active in their lives, take notice of what happens, keep learning and find ways to give. But as they go to work they feel they are not allowed to do this and they stay within their job descriptions, are constrained by rules and remain in their silos at work. At its worst they develop a sense of entitlement. This is manifest in all levels at work from the customer service handler who cannot help the person on the phone, to the executives at Volkswagen who thought they could cheat the government and the public for 10 years, to the bankers who have lost sight of their purpose to serve customers, the charities who bamboozled older donors into giving more money. There are news stories every week and we all have experiences of dealing with institutions and being frustrated, horrified and indignant. 2. Large institutions and government favour single national solutions. But single national solutions to do not encourage the development of creative, innovative ideas. They tend to suppress initiative. Even though everyone loves the idea of it, the NHS is now a monster that we cannot control and most worryingly many staff are very disheartened, frustrated and just want to leave even though they love looking after people. The history of state-funded education since 1975 has been pretty disastrous under both Labour and Conservative governments. And again we see that many teachers feel like the NHS staff. They are disheartened, frustrated and just want to leave even though they love young people and love their subject. Large businesses very rarely create great innovation from within. However, they have come up with a solution. What they do is wait for smaller businesses to come up with stuff and then acquire the smaller business and apply their investment and systems to scale it and grow it. But in this solution the innovation and fresh thinking happens elsewhere away from the larger business. There are a few examples that contradict this, but they usually involve one extraordinary individual (e.g. Steve Jobs, Richard Branson, Larry Page, Bill Gates) who operates like a small business owner but with big business money. 3. The welfare state focuses on what people are not or don’t have rather than what they can do or might achieve. Alex Smith has written about how the welfare state has provided a safety net and done many great things, but there has been an unfortunate side effect. It addresses what people have not got and what they cannot do. It treats those it helps as dependents. It has led many of those who depend on it to become disconnected, inactive, have narrowing horizons, and a sense of entitlement. It is disempowering them and creating an environment that discourages initiative and self-help. Whereas people flourish when they connect, are active, take notice, keep learning and find ways to give. So my title question was: Why is it that institutions dehumanise us? In this article, I have written about why I think this question is important. I have not answered it yet. I will follow this up later. I will also go on to discuss why this matters to business when they create products and services that aim to attract more customers. What priorities were discussed at the event? I was inspired to write about these issues due to the debate at the Good Right event on Monday. It is not directly what was discussed, but it was implied in the ideas that we explored. My takeaway from the event was that I feel that I side with the Good Right in believing it is more important to capture the human spirit and our capacity to innovate than to equalise the outcomes for everyone. More Human … its amazing how many people disagree with the idea this is desirable. I have just finished reading More Human. This book written by Steve Hilton and published last week. Steve Hilton was an adviser to David Cameron from 2006 to 2012 (and was caricatured as special advisor Stewart Pearson in “The Thick of It”). It is not often I feel compelled to write a blog about a book I just read, so this book has clearly had a big impact. The last time I wrote a blog about a book was when I read Nassim Nicholas Taleb on The Black Swan. So do get a copy and read it now. Steve Hilton analyses and explains things that have frustrated me for many years about the way business, politics, government, schools, healthcare and many institutions operate against people rather than for people. He shows how institutions and bureaucracy frequently frustrate and damage the people that they set out to help. He discusses how leaders have the very best motives to help people (there is no conspiracy to harm people) but often feel trapped by the way things work and believe they are doing the right thing in the circumstances. He describes how staff in airlines, civil service, social services, schools and many places can end up behaving in ways that are not human, even though they are almost certainly caring and loving with their friends and family. The central idea is that we have lost touch with what it means to be human. The institutions and bureaucracy we have created do not treat people as human. This has affected everything: the food we eat, the schools our children go to, the growing inequality, the lower engagement with politicians, the hospitals and healthcare services and we use, our inability to eliminate poverty and they ways we bring up our children. Yet, the world is full of examples of how when people get together to make things happen at a human level, then great things do happen. How is it that we cannot harness this more effectively? Steve Hilton concludes that to make something happen needs a large number of people who are committed to be being More Human actually in positions of power and leadership . He invites us to join in and have a go and run for office. Is there anything we can do in business today? Whilst much of this is in the political arena, this need to be “More Human” also affects business and there are things business can do within the current economy and politics. I believe that when we set out to help customers solve a problem or satisfy a need rather than just focus on how to extract more money from customers, then we create a better business. And this will be a more human business. By that I mean we enjoy more growth, make more money, are a happier place to work, create more jobs and build sustainable long-term value. This is the difference between being a value adder and a value extractor. Value adders want to help customers. Value extractors work out how to get the most money from them. The interesting thing is that all big innovations that really transformed industries and markets involved helping customers solve a problem, not just making more money from customers. So EasyJet challenged the European Airlines like BA who were all value extractors. First Direct and MetroBank challenged the value extractor banks. AirBnB are challenging the hotel chains. All these game changing businesses focused on the people’s real needs and problems and enabling us to do things we wanted to do as people. There is now a change happening in the food industry. The supermarkets were value adders who provided what people wanted, created wider availability and delivered better value. They have become value extractors driving prices up through pricing, confusing promotions and local dominance. But now they are looking vulnerable to many smaller businesses that help customers in more relevant ways from discounters to local food producers and retailers. If you are working in a business with a value extractor mindset and you think there is a better way to get growth by helping customers, it is not easy to get people to see it. But there is a way. I explain the thinking and the approach in this paper. 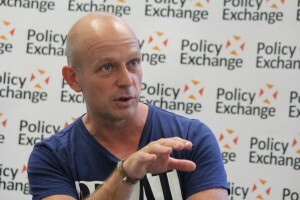 Steve Hilton definitely fits my definition of being an attractive thinker (and doer). I filled out the form in the back of his website under the button “Run for Office”. Looking forward to see what I get back. So the election pollsters got it wrong? What does that tell us about how we should use market research? The polling business has had some cause for self-examination following their failure to predict that the Tories would get 37% and Labour would get as little as 30% of the votes in the recent general election. And there has been plenty of debate about this. See this article by Ben Page of Ipsos Mori. What I wanted to do in this blog post is to draw some practical observations about what business leaders and marketers can learn from this, where we should use market research and what to be wary of. But before looking at the implications, what went wrong? There has been a lot of debate and discussion. I particularly like the assessment made by Dave Penn click here (@davidpenn1) and Keith O’Brien click here (@keithobrien) and discussed by Mark Earls (@herdmeister) and Phil Barden (@philbarden). They argue that pollsters have failed to absorb and react to the implications of Daniel Kahneman’s finding that decision making is governed by two systems in the brain. System 2 is the rational conscious analytical, slow, considered part. This is what is measured by traditional market research and polls. System 1 is the subconscious, intuitive, emotional, gut instinct part that is fast and essential to our ability to get by in life. This is not easily measured by market research polling. Since polling concentrates on system 2 rational thinking and behaviour, it can misread what people are actually feeling and fails to predict what they will actually do. Political commentators seem to miss this point about system 1, when they debate the order of questions, the methodological differences between phone and online polls, the sampling error. Politicians don’t get it with comments like Vince Cable complaining that people misled him on the doorstep and a sense among the losers that voters were confused or misled or afraid and this explains why they were so foolish to not vote for them. Lord Ascroft has commented that Lynton Crosby’s team seem to be doing something different and they knew they would win. Even Lord Ashcroft is curious about how they did that? Can we rely on market research? Should we use it? What will the customer do? I would argue that market research is helpful and reliable for the first two and quite hazardous and misleading for the third one. The industry promotes products and services that help top answer all three questions. I would suggest that the industry has not come up with a satisfactory approach to answer the third question. the reason they sell a lot of product to answer that question is that business leaders have an insatiable appetite for the answer to the question “What will consumers do?” Executives like to manage risk and market research is used to justify decisions. What the pollsters error teaches us is that research is not yet a great indicator to understand what people will do. Some like Dave Penn are using neuroscience and behavioural economics to pioneer new techniques to try to overcome this problem. What can we use market research for? Lets look at the three business questions that market research is used for. 1. What should we do? Whilst consumers find it tricky to accurately predict what they will do and they are not good at imagining products they have no experience of, they can tell us a lot about their lives, their problems, their needs, their frustrations. Also we can observe their actual behaviours. This is called exploratory research and if it is well designed it informs our plans. Do not expect consumers and customers to imagine possibilities that we have not shown them. That is our job to create and imagine that. 2. Are we doing it? These all help us see how we are performing. Provided we did the work properly in the “What should we do?” part and we are measuring things that matter to our customers, then this is really valuable. 3. What will the customer do? The reason for this is simple. As people we are very bad at predicting what we will do in the future. This is mainly because we do not know what our priorities will be in the future. It is hard to see how market research can help us overcome that. But it is also because of the influence of the unconscious system 1 on our decision making. My own approach to concentrate all the effort and work on questions 1 and 2. if we get that right and do that well, then the products and services we offer to customers will be attractive to them and enough people will buy them. Asking them if they will buy them does not give us a better indication. Lord Ashcroft understands this and proclaims his polls to be only a snapshot. However even he must wondering about the quality of his snapshots in 2015. Read this article about Attractive Thinking to see how to answer questions 1 and 2 and avoid the need to use research to answer question 3. This is about coming up with a plan for growth that you are confident will attract more customers. Posted in Consumer insights, Effectiveness	| Tagged Attractive Thinking, market research, Why people buy? A client (David Edwards from UL) asked me yesterday for some advice on what books he should read to develop his product marketing knowledge. This prompted me to reflect on which books have had the greatest influence on me. All these books have had a material effect on my approach to creating growth strategies that everyone is convinced will work. Product marketing is about more than marketing, it is about attracting more customers. Over the years I have found very few marketing text books that were really helpful and stimulating. But many books that have influenced the way I think about marketing and attracting customers. None of these books give a simple answer straight out of the box. They are all thought-provoking and will help you to move your thinking forward. If you want easy answers then look elsewhere, if you like a challenging thought-provoking read, then take a look. Start with Byron Sharp. He has taken the pioneering work of the late Andrew Ehrenberg and made it accessible to everyone. This is about why it is more important of get more customers, not just focus on customer loyalty. It is about why light buyers matter so much. It is why the 80:20 rule is wrong. It is based on years of research into how people actually behave and not anecdotes and armchair thinking about marketing theory and customer loyalty. Byron shows us why evidence matters and how to bring science into marketing. Byron shows you that there are 10 laws of marketing and why you cannot ignore them. 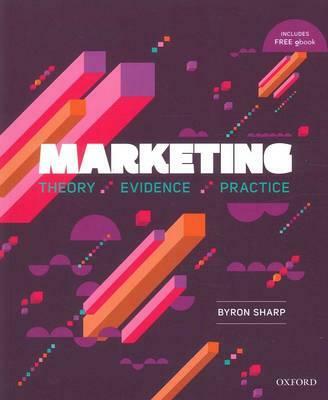 This is the only marketing textbook I would recommend. It takes the laws of marketing as explained in How Brands Grow and tells you how to apply them to the business decisions you need to make to develop a marketing plan that will actually work. It is written by whole team at the Ehrenberg Bass Institute of Marketing Science and has some good case studies. It is aimed at university students studying marketing and strategy. This academic work is known and been adapopted by global brand leaders like P&G, Mars, Unilever, Colgate and Google for some time. It has only become accessible to everyone else in the past 5 years. Mike Harris shares his experience of creating totally new and game changing brands by taking a radical approach to providing service to customers in conservative industries. Find Your Lightbulb draws from Mike’s experience of creating game changers in banking (First Direct and Egg) in telecoms with Mercury and in internet security with Garlik. This book is about leadership and driving extraordinary ideas through your organisation and creating somethign that will attract more customers. Daniel Kahneman reveals why and how people’s decisions and behaviours are not entirely conscious or rational. He discovered that we have two systems in our brain, System 2 is the one we all know about, it is conscious, rational, slow and cautious. System 1 is actually the driver of many decisions, it is unconscious, instinctive, fast and very importantly, we could not function without it. This book helps you understand why people buy, why emotion matters, what triggers a purchase and you will think differently about how to attract customers when you have read it. This report updates an important study called Marketing in the Era of Accountability. It tells you what worked and what did not work so well. Nassim Nicholas Taleb shows us that looking to the future is a bit of a mugs game. The most likely thing to happen in the future is an improbable vent that you cannot predict. So stop worrying about it. His writing is dense and a bit inaccessible, he is a mathematician and ex stock trader with a big brain. But what he writes about is important and has implications for strategy and practical decisions. I wrote about what we should do about this in 2008 in this post. There is increasing evidence that digital marketing and social media are attracting a disproportionate share of advertising revenue as these new media have become more fashionable “must haves” in your marketing plan. Penny Power takes a different approach and shows us what social media is really for and how to use it to build a following and create a network that will help you and your business and even how the network will help each other. Penny’s approach echoes the whole Attractive Thinking ethos. It is about attracting people not broacasting to them and capturing them. This book is a classic, it may be 7 years old, but it is not out of date. It reveals some fundamental truths about who we are, how we interact and what that means for your business, brand and marketing plan. Richard Rumelt has studied many strategies and the book has loads of examples. This makes this very practical and well grounded. Richard invites us to look inside the business for what we can do and what we are good at. Rumelt dispels popular misconceptions about strategy – such as confusing it with ambitions, visions or financial goals – by very practically showing that a good strategy focuses on the challenges a business faces, and providing an insightful new approach for overcoming them. This book together with the KPI programme showed me a whole buch of stuff that is known by entrepreneurs and not so well understood or taught in large corporate environments. Daniel Priestley highlights five steps that are essential if you and/or your business are to gain recognition and be recommended. Daniel has talked with thousands of entrepreneurs and gained insight into the problems they have to overcome. The KPI method is an effective way to overcome them. If you want to develop your career and be secure in your ability to attract customers or employers, then read this. He has followed this up with another book called Oversubscribed how to get people queuing up to do business with you. In the 2001 election, William Hague created the Common Sense campaign for the Tories. It did not work. “Why is the Mona Lisa the most famous painting in the world? Why did Facebook succeed when other social networking sites failed? Did the surge in Iraq really lead to less violence? And does higher pay incentivize people to work harder? If you think the answers to these questions are a matter of common sense, think again. Common sense is one of the most dangerous ideas that pervades general thinking and our decision-making. Yet science nearly always demonstrates that many ideas that were common sense were plain wrong. (e.g. sun goes round the earth). Duncan Watts will help you fine tune your antennae to detect common sense ideas that are misleading or just plain wrong. Inevitably I found it difficult to nail this list down to 10. But the list above is my top 10. Here are my next 5. Switch, How to change things when change is hard: Argues that we need only understand how our minds function to unlock shortcuts to switches in behaviour. Marketing Manifesto: The booklet from the Marketing Society on what marketing leaders must focus on to increase their effectiveness and impact download here. I helped the team to create this book. The One Thing You Need to Know: This helps you discover the question you need to answer, get the right answer and then get everyone else to agree with you. You will be better at pitching within a corporate environment. Posted in Consumer insights, Creating purpose, Effectiveness, Game Changers, Influencing the organisation, Marketing leadership	| Tagged Andrew Ehrenberg, Attractive Thinking, better marketing, Byron Sharp, Game Changers, growth strategy, Mike Harris, Penny Power, Social Media, Why people buy? This weeks blog from Guy Watson of Riverford Organic farms is one of the best pieces of attractive thinking that I have seen for some time. It is prompted by his reflections on the election aftermath. What I find so depressing … is the apparent ubiquitous cynical belief that appealing to personal greed is the only way to get anything done. Ultimately we all want to feel good about ourselves and at work this falls broadly into three areas: feeling we are learning and getting better at stuff, feeling some control over our lives and feeling a sense of purpose. My plea .. is to have a little faith in people; we’re not as shallow, selfish or as dumb as you seem to think. Show some trust, give us some hope and we might even surprise you. I believe that given half a chance, most people, most of the time, are smarter, fairer, more generous and capable of more empathy than our institutions give us credit for. I found both the election campaigns and the result hugely depressing without really understanding why; with the exception of the Greens I feel no more aligned with the policies of the losers than the winners. On reflection I realise the reason for my gloom is a conviction that the institution with the most cynical view of our behavioural motivations is the modern Conservative party. I’m guessing that, as someone already personally rich, I will be richer under an unfettered Conservative government; but I don’t expect to be happier. What I find so depressing about modern post-Thatcherite Conservatism (and only marginally less so about post-Blairite Labour) is the apparent ubiquitous cynical belief that appealing to personal greed is the only way to get anything done. Considering the almost complete lack of evidence to back up this assumption, it has gained extraordinary traction in Westminster and the City over the last 30 years. In the real world, where businesses have to compete by getting the best out of people, it has largely been abandoned as a piece of failed, ideologically driven dogma. For the most part, we are emotional beings responding to much deeper, less tangible but more powerful emotional motivators; ask anyone in advertising. Ultimately we all want to feel good about ourselves and at work this falls broadly into three areas: feeling we are learning and getting better at stuff, feeling some control over our lives and feeling a sense of purpose. To believe that ‘carrot and stick’ management is why a nurse will care for a patient, a parole officer will struggle to support a young offender or why a programmer would write exceptional code is crass to the point of incredulity. I suspect it is even more threatening to public services and well being than cuts and austerity. Both hope and cynicism, given enough voice, can be self-fulfilling prophecies. My plea to Cameron and his team is to have a little faith in the people they lead; we’re not as shallow, selfish or as dumb as you seem to think. Show some trust, give us some hope and we might even surprise you. Why the ski industry needs better products to attract more skiers? The talk discusses how the ski industry has focused on keeping its loyal customers, but now needs to recruit new enthusiasts into the sport. The sport is at risk of its current baby boomer customers retiring from the activity and not replacing them with younger blood. Here are the slides with the transcript of the speech attached to each slide in the notes. The idea for this talk was promoted by two articles that I saw in Planetski last week. The first was a quote from the 2015 International Report on Snow & Mountain Tourism which stated that visitor numbers in ski resorts have been declining year on year for 5 years in all the major ski markets. Even France and the US which had been doing better are now in a 5 year decline. The second story was from Phil Smith of Snowworks in Tignes. Phil reported he had enjoyed a great season and things are looking up. In fact skiing is so addictive, that people will always want to come skiing and there is nothing to be concerned about. How can both of these things be true? The subject of this talk is how can we attract more people to skiing, whether as an industry as a whole, as a resort in particular or for your own business. If numbers are down, this is a matter we need to address. For those of you I have not met yet, I founded Differentiate as strategy consultants to help CEO’s and business owners to bridge the gap between the insights they have about their customers and the creative decisions you make about developing products and creating marketing plans to attract customers. I used to be a marketing director at Pepsi and since I have consulted with global brands like Mars as well as high end B2B service providers in Finance, Law and Technology. I am also a director at Henry’s Avalanche Talk teaching skiers how to stay safe and have more fun off-piste. This involves avalanche awareness and off-piste equipment training. My aim today is to prompt a debate about within the ski industry about the need for game changing new products and services that will attract more people to skiing and get some lapsed skiers to come back to the sport. I will talk about the subject in three different sections. Second I will talk about a principle of good marketing. I will discuss the debate about penetration vs loyalty and show why it is essential for good marketers to focus ion increasing market penetration. Or in simpler language, attract more skiers to take part. Third, I will discuss why having better products is essential before discussing better marketing. I will show some tips on how to start the process of developing better products. So are the numbers really going down? This report from Crystal shows estimates of the numbers of British skiers going on holiday over the past 5 years. Whilst there was an expected drop with the recession and a bad snow year, this is starting to look like a trend. Numbers are difficult to get here, but this is a trusted source. The 2015 International Report on Snow & Mountain Tourism looked at all visitors to ski resorts in every country across the world. So this includes locals visiting the resort as well as people on longer holidays. What is interesting to us, is that the alps has shown a consistent decline over the past 5 years. There is growth in Asia, but everywhere else is down. So why might this be happening. Skiing is often thought of as a younger persons game, just for fit people. Well in my experience, you need to be fit, but you don’t need to be young. When I am in ski resorts, I increasingly see large numbers who look more like this group here. A lot of us were recruited into skiing as young adults in the 1980’s and 90’s. This generation of Baby Boomers and GenX have fuelled the growth of snow sports, by joining in the then choosing to go skiing more often each year. But some of this group mare getting less able as they get older. And I am not convinced the sport is recruiting younger adults to replace them. And younger people have a far greater choice of things to do than we could do in the late 20th Century. Exotic adventurous travel options have exploded, from Asia and America’s back packing to surfing to kit surfing, mountain biking, charity and physical challenges, yacht racing. All these things are competing for the adventurous travellers pound. Many of these activities are more accessible and less expensive than they were due to cheaper flights and the internet helping people discover ideas about what to do. Another element in the mix is that sometimes people have bad experiences when they go skiing and it puts them off, especially if they are on the first or second trip. This research by the ski club measured net promoter scores for tour operators and resorts. This was done among 15000 skiers and they found that for some the experience was not good and they would not recommend it. This variability will be putting some people off. So that covers my first point and offers some reasons why the numbers are down. I am sure there are other reasons you could come up with, but this is a start. My second point is to discuss the marketing debate around Penetration vs Loyalty. There is quite a fashion for loyalty programmes and CRM. Now these are all useful to a point, but we must not lose sight of the fact that business only grow when they attract more customers. This was established as proven fact by an early marketing academic, Andrew Ehrenberg in the 1960’s. His work has been followed up by Byron Sharp who published a book on it in 2010. Study after study has shown that the difference between bigger businesses and small businesses is not how loyal the customers are, but how many customers they have. It is not possible to get growth without increasing your market penetration or in other words attracting more customers. A second study conducted by the Institute of Practitioners in advertising has confirmed this. This study looked at 1000 entries for their marketing effectiveness awards. The winners were selected for the business results and cost effectiveness, not for their creativity. And 95% of the award winners had set as their objective to increase market penetration.. Only 5% of the awards went to campaigns that had set loyalty as their campaign objectives. Loyalty programmes did not win effectiveness awards. So this is my second point, No-one ever achieved significant growth in their business without attracting additional customers. We have to attract more skiers if we are to grow the industry. Now my third point is about why the best and easiest way to get more customers is to create better products, we cannot just rely on better marketing. It is better products that attract customers first. And as shown by Michelle in an earlier presentation, most great marketing campaigns either draw attention to product improvements or use product improvements as a tool to communicate the brand value and the brand attraction. I will start by asking you how you view your customers? Do you see them as a target to be lassoed into your business and then you must find ways to attract as much money as possible from them? Are you like this cowboy looking to entrap and ensnare customers? I call this approach value extractors. Or do you see your job is to find out what customers need and want, to find out what would really help them and then develop something that delights and surprises them. People buy things when they have a problem to solve or a need to address. If they see you offering the perfect solution to that need, if you offer the missing piece in the jigsaw, then all you have to do is let them know about it and then they will just buy it. I call this approach value adders. In my experience prime value extractors are banks, insurance companies, utility companies, mobile phone operators. These businesses exploit our reluctance to switch providers. So they focus on how much money they can charge and how little they can do to help to ear that money. Whereas big successful branded companies like Apple, Google, Unilever P&G, Mercedes, Mars, they all know we have the freedom to switch, they cannot trap us so they invest in attracting us with better products. Now all the big game changers in every industry are value adders. They are people who put … better products before better marketing. So what are the characteristics of better products? What makes a product better? Here are a selection of brands and products that have all shaken up their industry when they launched. They each looked at their markets and said, “there has to be a better way”, “we can make the customer experience better”, “we can make it quicker, easier, better value”. Easyjet challenged legacy airline carriers by making it easier to buy the tickets and removing all the complex terms and conditions that were designed to trap fliers into spending more money. Fridays speeded up property conveyancing to help people get their homes more quickly, Netflix ensured we could watch what we wanted at any time and made it easy to use, Paypal made it possible to transfer money and easier to pay for things online. So these are characteristics of game changing products and services, I am sure you can think of some more. And last week I saw this guy present the game changer in power supply. This will disrupt the energy supply industry. Elon Musk used the money he made from selling Paypal to invest the Tesla car, but he is now going further and has just launched the Tesla PowerWall. He looked at energy supply and climate change and said we have to do better. He noticed the sun provides more energy than we need. Solar panels are getting better, the problem is it does not work at night and we had not found a way to store energy from the sun. The phrase he used repeatedly is “It just works”. This is I believe the ultimate attribute of better products. Iron out the glitches, find the disruptions, improve the customer experience, re-engineer the product, then you will find the game changer. So how do we develop better products? Where do we start? The first principle is to start with the problem or need the customer has. No-one ever spends money without a problem to solve or an occasion to sort out or a need to fulfil. When you go to the supermarket, you do not have a list of products, you have a series of occasions and needs to fulfil. There are kids coming home from school, meal times to feed, people coming round, clothes to be washed etc etc. The start point for product development is understanding these problems and needs. What might these problems be for skiers and ski holidays? The first one is that we all like to spend time with our family in a nice way and are looking for ways to do that. Skiing is a great way to do this. People also love to spend time with friends and an activity like skiing is a great way to do it. But you will notice that skiing is not the only answer to these problems. But ensuring ski holidays address this need in the best way is one way to develop better ski holiday products and services. The second problem is that it is often a bit grey and gloomy at home in the winter. Many of us are looking for ways to escape the gloom, get some sunshine, get out doors and cheer ourselves up in the winter. Again, skiing is great for this, but it is not the only way to do it. This is a powerful driver for ski weekends as well I think. The third problem that skiing addresses, is that increasingly we are looking to push ourselves a bit harder, we are looking for a physical challenge. Again skiing is a great answer, but not the only one. Other adventurous sports or charity challenges can do this equally well. So that covers three problems and needs that people have that ski trips can address. But what are the things that stop people going skiing, what puts people off. This will provide some insight into developing ideas for better products and services. It was hard to find research on this, but I tracked down two studies. The first is a report from the Ski Industries Association in the US, this looked at reasons regular skiers did not go in any one year. The top reason reflects the fact that skiing is a social activity and they said they had no-one to go with. They also cited that other activities sometimes seem like a better option. A significant number thought they were just getting too old for it. This is that Baby Boomer generation who are opting out of skiing. The last point was a fear of getting injured because of the consequences in the aftermath and the following months. The second report I found was published by the University of Edinburgh and looked at PE students and teaches and what put them off going skiing. They raised quite a few points but this slide starts with the cost of the holiday and importantly the cost of acquiring the clothes and associated equipment. The sport is difficult to learn and this a big psychological hurdle. Some complained that the slopes are getting too crowded these days. So these are examples of insights that can support and help product development and can help in the creation of better products. So please remember “no-one ever achieved significant growth in their business without attracting additional customers”. Our job is to solve it for skiers and prospective skiers and we need to provide something that is better than the alternatives. So in this talk, my aim was to provoke a debate about the need for a game changer in products and services for skiers. This is the key weapon to attract more customers into the sport, into the industry and into your business. I have talked about why the numbers of skiers are declining, I discussed the need to increase market penetration and not just get more customer loyalty. The best way to this is to develop better products not just rely on better marketing. The start point for better products is to understand what problems and needs customers have that skiing holidays can address. Our job is then to develop better ways to solve these customer problems. You can find a copy of this presentation and talk on my blog on ATTRACTIVE THINKING at www.chrisradford.net. Posted in Consumer insights, Game Changers, Value Adders, Value Extractors	| Tagged attracting customers, Attractive Thinking, customer loyalty, growth strategy, ski, ski trade, tour operators, Why people buy? This is possibly the best example of attractive thinking applied to product innovation that I have ever seen. It has bigger potential than any project I have contributed to. This will be “a product that customers love”. Elon Musk (founder of Tesla cars) launched three new products yesterday. What did I learn about creating better product from watching this? This is not a not a new battery, this is a challenge to the whole power industry. The market opportunity for these batteries is not the size of the battery market. It is the size of the power supply industry. Power supply companies would never have come up with this idea. It is so far away from their frame of reference and looks like a threat to their established stream of profits. A great product solves a real problem that customers have. Reducing carbon emissions is one, but the potential to remove all the unpleasant infrastructure associated with power generation and distribution is another hugely attractive feature. For each of us there an opportunity to save money and detach ourselves from the utility company’s ever increasing charges. Design matters, it is a part of the “It just works” The Powerwall will be an attractive feature of the home, it goes on the wall, it takes up no space. It also looks good, unlike any battery I have ever seen before. Design is function here. This picture shows it located next to the car. What did I learn about giving a speech from watching this? Simple language – he uses no jargon, he use short sentences and short words. Use Graphics and photos not words in your slides. The images each reinforce a simple point that is hard to solely express in words. So how much marketing will this product need? I suspect it will need just two things. The first is simple. Just create publicity to make sure we know about it. The second is harder. Create the distribution so we can buy it. But what this will not need is clever persuasion, or special offers, or loyalty schemes, or other marketing tricks to try to sell products that are not exactly what people need or want. This is my new standard to aspire to for creating products people love to buy. It’s pensions freedoms day. Time to disrupt the industry? 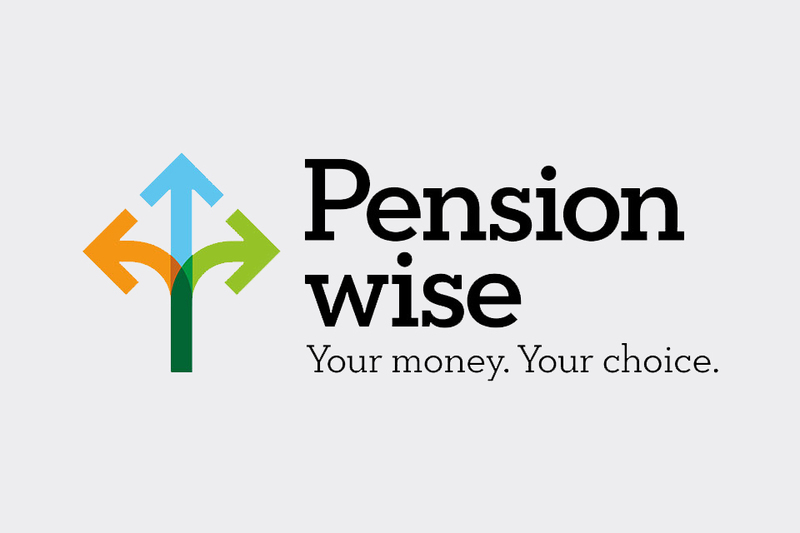 There has been much discussion in the press and the pensions industry about George Osborne’s new Pension Freedoms that come into force today on April 6th. The debate fluctuates from how the freedoms could create a whole series of new mis-selling scandals to a broad welcome that people are being given more control over their own pension money, rather than being told by government what they should and should not do. The pensions industry generally welcomes the move, but the discussion seems focus on what others (govt and customers?) can do rather than on how the industry can change in ways that would help customers. 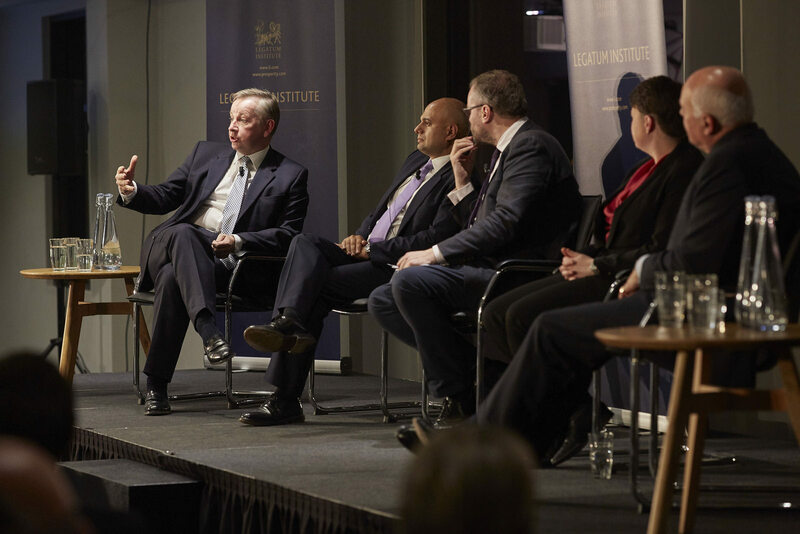 The debate revolves around what the public and the government might be doing wrong, rather than whether pensions companies can develop new products to provide what people need. First: what are the concerns about the new freedoms? The expert commentary largely revolves around three serious concerns. These concerns add up to a serious worry that the public could be worse off. If people withdraw all their pension pots in one go in one year they are still subject to a 25% tax which will be a windfall for the treasury but at the expense of the public’s ability to create income for themselves in the future. There are not enough quality advisors available to help people decide what to do and be sure it is in their best interests. And for many the cost of advice is simply not affordable. the government is offering free advice, but this is very limited in scope and seems to be fraught with implementation problems. Annuities are still the best option for some people as they ensure they do not run out of money. But they have have been criticised for being poor value. They have a bad press and may be dismissed by people for the wrong reasons and people will end up worse off. Clearly these are all risks. Problems will happen to some degree. There are things the government and the industry can do to minimise and mitigate these risks. But do these problems add up to an argument that these pension freedoms are a mistake? I believe it is not a mistake, because the move to giving people pension freedom was the only way the government could break a system in which a restrictive tax regime had been exploited by pensions firms who offered products that delivered poor value. And importantly since the products on offer no longer provide an adequate income in retirement, something had to change. First, people do not save enough for their retirement needs. This is largely motivated by a desire to have things now rather than be prudent and save. The implication is that people are being foolish. Second, that saving and investing for income are complex matters that can only be grasped by professionals, this is made harder to understand by taxation complications. In addition products are generally complex and difficult to understand. Third, everyone’s situation is different and we all need personalised advice. Now some of this may be true in some cases. But are people really that irrational that they ignore their future needs? Are people all so different that everyone needs bespoke expensive advice? It is distinctly possible that the problem is the products are too complex and unattractive rather than customers’ foolishness. Why is that pensions and investment products are so complex and impenetrable to the average person? I think it starts with the purpose behind pensions products. The products are designed to make money for the provider and pass on the risk to the customer. Most pensions firm products that have a cost structure that guarantees income and profit to the pension firm and leaves the customer with all of the risk. This structure and risk share is very off-putting to customers. Pensions is one of the few industries that has not been disrupted by insurgent newcomers. It is dominated by established players. Many industries are being disrupted by people creating better products that help customers. e.g. Google are transforming the advertising and media businesses by making it easier to access for smaller businesses. Amazon are working their way through most retail industries with simpler easier lower cost customer service. Airbnb are transforming hotels and travel. When someone does this (when not if!) the population will return to investing in pensions, ordinary people will be able to exploit the pension freedoms and be more more secure in their retirement. Whilst the current paradigm is maintained, then many will either avoid pensions, will make mistakes and will be poorer in retirement. How to design such a product? What Makes a City Attractive? I borrowed this blog title from this video on How to Make an Attractive City? This video presents an excellent example of “Attractive Thinking”. The producers have used one of the most important techniques in understanding what makes things attractive to people. The video is all about using the insights to turn cities into places that people love to live in and to visit. The producers at The School of Life have identified the six characteristics that define cities where people love to hang out. Has visible life. Whilst people claim to like privacy, we actually like to be around others and see other people enjoying themselves. We congregate in squares and streets where things happen. We do not visit sterile suburbs or anonymous business parks. Scale. Many cities make people feel small as the buildings and the transport roads dwarf them. Often the biggest buildings are devoted to large corporations and financial firms. These are not things people love. The most attractive cities have limited most buildings to 5 or 7 stories high and maintain regular sizes in any one street. When there is something bigger it is related to what matters to people, theatre, church, museums sports etc. Make it Local. Create individuality and use local materials not just another skyscraper of office tower that could be anywhere. Think of the stone in Edinburgh and Bath. The Portland stone of St Pauls, the style of Venice. The point I wanted to bring out, is that to make a product attractive to people, to make it into something people will love, you have to know the things that are most important to people. Some of that you can find out by talking to people. But some of it relies on your insight and imagination. More on discovering Power Drivers later…. Posted in Consumer insights, Power Attributes	| Tagged Attractive Thinking, Power Drivers, School of Life, Why people buy? Better products vs better persuasion? I have been spending some time with pensions professionals who are grappling with how to make pensions work better for the whole population. There is clearly a problem for many of us. Many people will not have adequate provision for income in their old age. This kind of customer problem presents an opportunity for the industry to do some better persuasion and better marketing. But it also offers an opportunity to create better products. I have noticed that the debate about better pensions highlights two different ways you can approach trying to solve a problem for your customers. The focus here is how to get people to buy what you provide or sell. This is what many business leaders are trying to do in different industries. It is an important activity to get growth. This seems to be the main focus in pensions. Much of the pensions industry discussion is about getting people to take pensions more seriously. It is about getting people to save in a responsible manner. This is manifest through the government’s auto enrolment scheme; by advocating the provision of independent advice via IFA’s; via the development of training and financial education for people. The implication of this approach is that people are behaving irrationally. We just need to change our ways. We are not looking after ourselves and need educating and coercing into investing so we have a pension. Then we need advice to take income from a pension fund in a responsible way rather than blowing it all away on holidays. Then we will have a better retirement. This financial education and advice sounds very worthy and well intentioned. Now I can see that much of this analysis and the need for different behaviours is true. Many people are headed for a poor retirement as a result of their inaction. But I would argue it is blinkered to concentrate only on trying to persuade people to behave differently. Most of my experience says that trying to educate people to behave differently is very hard, it is an uphill slog with few rewards. Is the pensions problem just that people are behaving badly? Or maybe the products on offer could be better? Maybe the problem is not just that people are behaving stupidly, but that the products and services that are available just do not meet the real needs of ordinary people all that well and that the industry could also help people by developing better products? It is clear from the National Association of Pension Funds’ Workplace Pensions Survey October 2013 that there is a perception amongst many ordinary people that pensions cannot provide for their future. There is a lack of trust. In my experience, when there is a lack of trust then educating or marketing alone will be very hard work and may not be effective. We need better products. Online solutions often deliver a lot of these elements which is why there is so much growth in online products and services. An good example of an industry transformed by better products is to try and remember the short haul airline industry before Easyjet, Southwest Air and Ryan Air. The airline industry has been transformed by these game changers. Look at how much better it is for customers today. Easyjet and RyanAir were Game Changers. An easy mistake to make is to think your industry is more complex and more difficult than the industries where game changers have created change and that better simpler products are not possible. The pensions industry knows it has unique challenges and is more complex than the airline industry was. That may well be true. But the top executives of traditional national airline carriers British Airways, Lufthansa, American Airlines all thought their business was complex and did not really innovate until the low cost carriers arrived with better products. 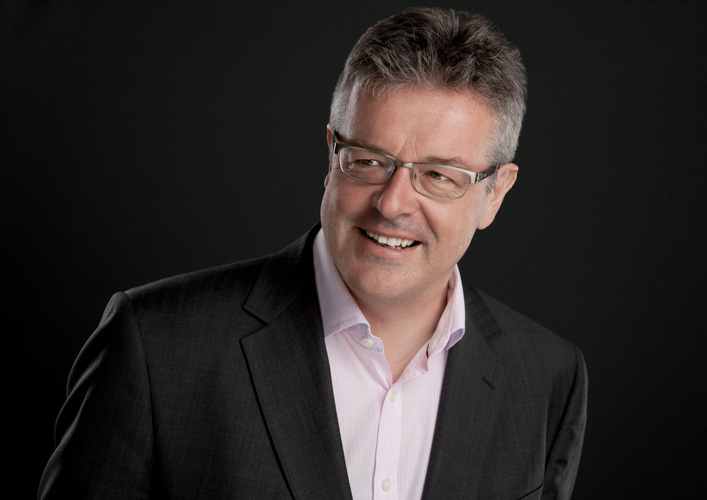 One of our headline speakers is Mike Harris who is the original financial services game changer. Mike created First Direct and the Egg card internet banking business. Mike will talk about what it takes to be a game changer. Mike will share some insights on how to do this. 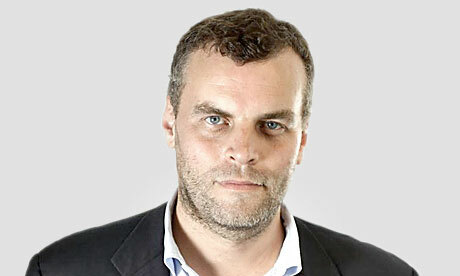 Another speaker is John Scriven from South Bank University, Marketing Science and the Ehrenberg Institute. John has some surprising and ground breaking insights under the title How brands grow – what marketers don’t know? John will share insights that are used by many of the worlds top companies on how to present better products to customers. More information about the event is here www.gamechangers1.eventbrite.co.uk. Tickets are free. It is just 3 hours during the afternoon. there will be some debate around the case studies and examples. If you have any thoughts or comments on this please add them to this article which is posted in the GameChangersUK linkedin group. This is an online group that will continue the debate. Posted in Consumer insights, Events, Game Changers, Influencing customers	| Tagged better products, events, Game Changers, Mike Harris, pensions, Why people buy? Differentiate helps you turn your products and services into things customers love with our successful 5 step programme. Click on the logo to find out more. Have our universities lost their purpose and become value extractors? What we measure matters – how to measure value?